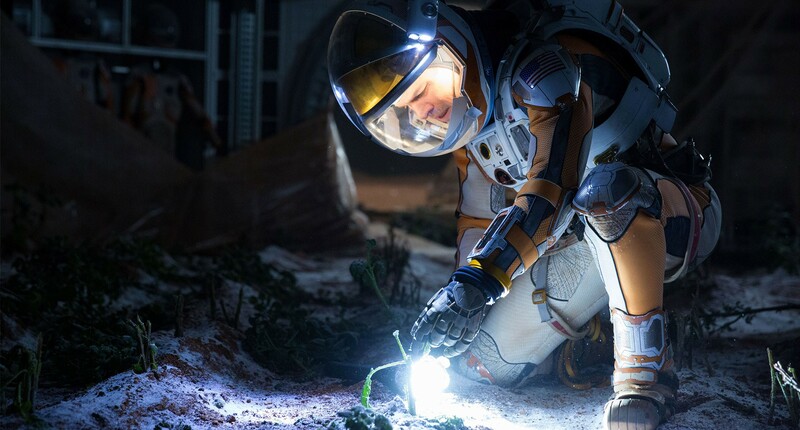 Matt Damon stars as Mark Watney, who is on Mars on an Ares 3 research mission with five other crew members, including Commander Lewis (Jessica Chastain), Johansson (Kate Mara), Martinez (Michael Pena) and Beck (Sebastian Stan). Their mission is aborted when a massive storm hits and as they try to reach their escape vehicle, Watney is hit by a communications dish and presumably killed. The crew leave Mars without him and it turns out he is still alive. We watch Watney’s fight for survival, including struggles to make food and gain communications with NASA. We also follow separate storylines of how NASA is handling the situation, and what the Ares 3 crew do when they find out they left him alone on Mars. This has an insane cast and I cannot believe how many big names signed up for this. 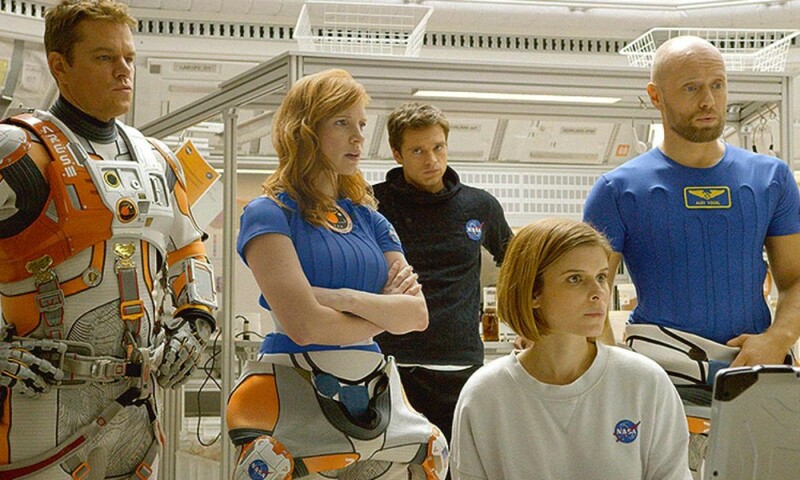 Besides those already mentioned, in the NASA scenes, we also have Chiwetel Ejiofor (who is brilliant here), Jeff Daniels, Sean Bean and Kristen Wiig (who I wanted to see do more). The star of the piece was Damon though – he has 90% of his scenes alone and that is a massive undertaking. Mark’s moods vary greatly on a daily basis, and he captures it so well. His psychical deterioration and emotions towards the end really got to me but his courage, optimism, smarts and humour in that bleak situation really carry the film along. The Martian kept all the elements of the novel I loved – Mark’s personality and the use of disco music – and played down the scientific stuff which I struggled to read. I always felt the book ended too abruptly and it should have had an epilogue. The film does this, thankfully. The final rescue is different but I can see why – it is more cinematic, tense and uses characters we are more familiar with. I enjoyed that the film is separated into three storylines as it breaks up the battle for survival and gives all-around look at how the tragedy has affected everybody involved. You would expect this to be serious stuff considering the subject matter but it feels light and entertaining the entire time. This is mostly helped by the disco tunes – the only songs Mark has on Mars – so we have incongruent music to serious stuff. For example, when Mark leaves for his big journey to Ares 4, we have Waterloo by ABBA playing and Gloria Gaynor’s I Will Survive in the credits gave everyone a laugh. My favourite scene is Damon dancing to Donna Summer’s Hot Stuff in the rover. This is brilliant and I really cannot fault it. The dialogue is smart and funny and I love that Watney retains his cheeky personality although he could be dead soon. The cast is so big that obviously some people don’t have much too really do, but I’m still impressed by the ensemble. The Mars scenes look gorgeous but I don’t think 3D is necessary. I truly think this is better than the novel, which is a big statement to make.